The Year of the Sheep, combined with the Earth Element of the Chinese Zodiac cycle, is an ideal time to use Feng Shui methods to shift your life trajectory toward a calmer state. In accordance with the Tin Sun Lineage's Feng Shui methods, by doing good deeds and advancing your education in the Year of the Sheep, you can strengthen your foundation and allow the dust that has been kicked up in the last two aggressive and rocky years, to begin to settle. Feng Shui is most effective for people who have positive mindsets. If you wish to be wealthy, you will need money in the bank. If you wish to have a fulfilling life, you must bank good deeds to give you leverage. In the Chinese culture, the formula for a fulfilling life synchronizes advantageous timing with Feng Shui and helpful people. Why is the Year of the Sheep an ideal time? The answer lies in the Chinese character for peace: 祥. The same radical used in the character for peace is also used in the character symbolizing "God": 神. When you remove the radical from the character for peace, you get the word sheep: 羊. This combination of characters has a powerful suggestion: by connecting with the divine source, you can align ideal timing with an auspicious location (Feng Shui) and good relationships in order to affect transformation and foster favorable results. Clear your mind and energy field of distractions: remove negative thinking, negative people, and negative environments. Pray in the southern direction (representing the Fire Element of Yang Chi), for the insight and clarity to identify the distractions in your life and for the courage to set new boundaries. To help you reflect during the prayer, you may place a candle and other spiritual or inspirational object in the southern direction. Remember: a prayer should be in the form of gratitude—not a wish list. Make plans to charge your positive energy by doing good deeds, increasing your knowledge or skills, and enhancing your spiritual awareness. Do charity work and advance your education. We must all earn blessings through our actions. Make plans in the southeastern direction, which will encourage positive intentions and the manifestation of your goals. To enhance your thought process and boost energy for these good deeds, place a Wood Element, such as a plant, in this direction. An authentic Feng Shui Master can recommend the ideal species, color, size, and shape of a plant that would be suitable for your intentions. For example, people seeking better relationships may benefit from a pink flowering plant, while people lacking motivation may benefit from a multicolored Croton plant that will stimulate Chi. Tap into the Water Element direction of the north to maintain positive Chi with healing and nurturing energy. Depending on your Five Elements Composition, a water fountain, aquarium, or picture could help balance your energy. The "flow" of energy from the north will enable you to emotionally evolve with ease. For example, watching fish swim may be an effective way to ease an intense, controlling, or uptight mindset (Yang Chi pressure) and restore you to a more balanced state of calmness (Yin state). A classically-trained Feng Shui Master can help you choose the right objects to place in the northern direction to help promote a relaxed energy field that keeps you feeling calm and more at peace. 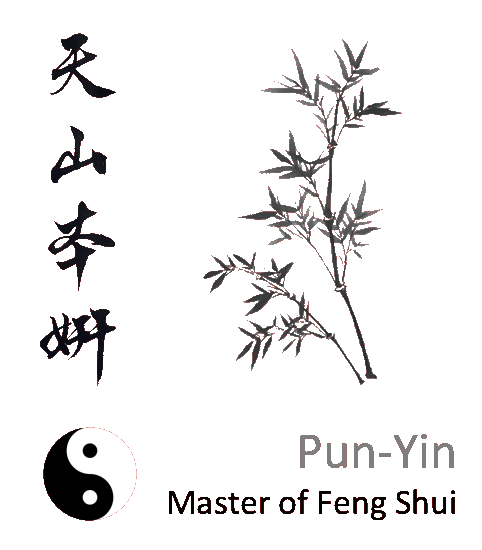 You can learn more about the Five Elements and Feng Shui on this website www.punyin.com. Since we must all earn our blessings—and because knowledge is power—why don't you kick off the Year of the Sheep with a good deed: share this segment with others. Wishing you a peaceful year!